The memory is from 14 years ago, but it stings like it was yesterday. “I think he’s a famous old actor,” I said, during a game I play with friends where you have to get your team to say a name you’re reading on a slip of paper that they can’t see. “Humphrey Bogart!” one person yelled out. “Charlie Chaplin. Marlon Brando!” another hollered. My heart sank as I looked at the words “Henry Kissinger” written on the paper I was holding. I was in a “I somehow don’t know who this incredibly famous person is and I’m about to be horribly exposed for it” situation. There’s no feeling quite like it. Zone 1 is by far the most dangerous, and as you get older, there are fewer and fewer big names there (I was 18 during the Kissinger Catastrophe—18-year-olds tend to have a lot of big names in Zone 1). But most people reach full adulthood with a still-crowded Zone 2, and names that are referenced all the time should ideally not be in Zone 2. Today, we’re going to focus on a 10 absurdly famous, almost mythic people (much more famous than Kissinger) who are yet in a lot of people’s Zone 2 (and maybe even a few in Zone 1)—when you finish the post, they should all be in your (and my) Zone 3, and you’ll be safe. I got to this list by surveying friends and readers about which huge names they were ashamed to know very little about, and these are some names that came up again and again. His main thing: When Alexander was 20, his father, King Philip II of the ancient kingdom of Macedon, was assassinated by one of his bodyguards. Philip II had had military ambitions to expand his kingdom into Persia, and Alexander inherited an army ready for battle. But no one had any idea what this kid’s deal was—turns out power had just been handed to one of the most prolific conquerors in history. For the next 12 years, Alexander would accomplish his father’s ambitions and go far beyond—into Egypt and as far East as present-day Pakistan. The crazy thing is he was just getting started—his stated expansion goal was “the ends of the world and the Great Outer Sea”, and he was well on his way (he made a push towards India, and his next plans were to take the Arabian Peninsula) when he died of some sickness (or possible assassination) at the age of 32. This was the largest empire in Ancient Greek history, and though things declined soon after his death, his conquests allowed Greek culture to spread far and wide and launched the Hellenistic Period of Ancient Greek Civilization, whose influence carried as far as the Byzantine Empire almost 2,000 years later. His primary tutor between the ages of 13 and 16 was none other than Aristotle. Very weird that those two hung out a lot in a room alone together. I desperately want to know what they talked about and what their private jokes were and what kind of life advice Aristotle gave Alexander. Also fun picturing Aristotle coming to a session and being annoyed that Alexander the Great hadn’t done his homework. This relationship turned nasty later on, as Alexander became paranoid toward the end of his life and sent Aristotle threatening letters. Some theories even suggest Aristotle may have played a part in Alexander’s death. His reign began in Game of Thrones style. His father, the king, had had a new wife at the time of his death, and as Alexander was assuming power, Alexander’s mom (and the king’s ex) had the new wife and her daughter burned alive. Alexander had several other potential political rivals executed, and then when a series of neighboring Greek states rebelled against his rule, Alexander razed their cities, defeating them one by one until he had consolidated power over all of Greece. He then launched into foreign expansion. His mother was quite the person. On top of her habit of burning rival women alive, she was the ultimate hyper-ambitious tiger mom, putting annoying pressure on Alexander to conquer the world and convincing him (and others) that she was impregnated by Zeus before her marriage and that Alexander was the son of Zeus. Alexander was undefeated in battle in his life, despite often being outnumbered. Though ruthless in conquest and in politics, he was unusually gracious to the families of those who died in battle, granting them immunity from taxation and public service. 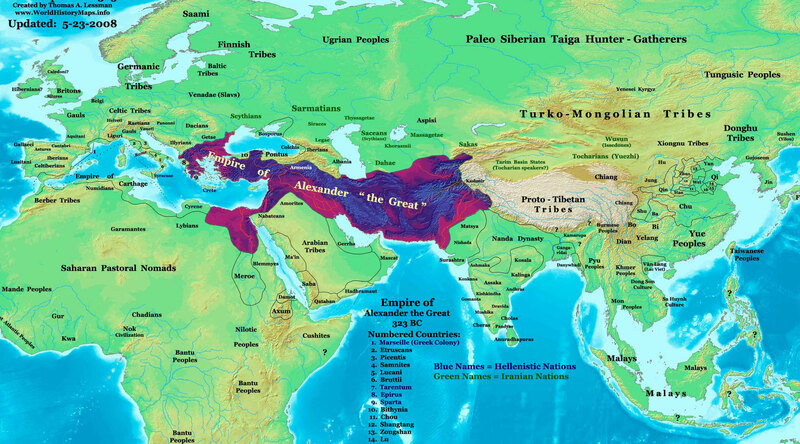 Alexander founded over 20 cities and named them after himself, including Alexandria in Egypt. He is said to have had one brown eye and one blue eye. What Hitler tried to do is essentially the same thing Alexander tried to do (though with more genocide), but it was so long ago that the tragic element of it carries no emotion today. If Hitler had done his thing 2,400 years ago, we might know him as Hitler the Great today. The thing that makes Marco Polo so famous isn’t that he was the first European to explore Asia—he wasn’t—it’s that he was the first one to document it, in his book The Travels of Marco Polo. He returned to Venice from his 24-year voyage in his early 40s and lived the rest of his life there as a wealthy merchant. He returned from his voyage to find Venice in battle with rival city-state Genoa. He joined the fight and was soon imprisoned. It was in prison that he wrote his famous book—except he didn’t write it. He dictated it to his cellmate, who happened to be a romance writer. In China, the Polos befriended Mongol leader (and Genghis Khan grandson) Kublai Khan, and Marco worked for a few years as his envoy. Kublai became attached and refused to let the Polos leave, but when a Mongol princess needed to be escorted to Persia to marry the king, the Polos got the gig. The long sea voyage (see map) was unpleasant—only 18 of the hundreds of passengers survived, but all three Polos made it. Polo’s mind was blown upon seeing elephants, crocodiles, monkeys, and rhinoceroses for the first time and mistook them for mythical creatures (he thought rhinos were unicorns). This is totally fair—imagine how weird those animals would seem if you had never seen them before. The whole thing about Polo bringing pasta or pizza to Italy is a tall tale, but he did bring back stories of paper money, an unknown concept in Europe at the time. Christopher Columbus got FOMO about Polo’s travels, and this was one of the major reasons he became an explorer. He always carried a copy of Polo’s book with him. His main thing: I can’t be the only one who has spent my life confused as to why the guy on the t-shirts is such a big thing. The Maryland Institute College of Art called the above photograph (taken of him at a memorial service) “the most famous photograph in the world,” and today, the image is a ubiquitous logo that symbolizes rebellion against authority, capitalism, and imperialism. But who was he? Che grew up as an Argentinian math-loving, chess-playing intellectual who got his medical degree and became a doctor before deciding he’d rather be a rad dude. 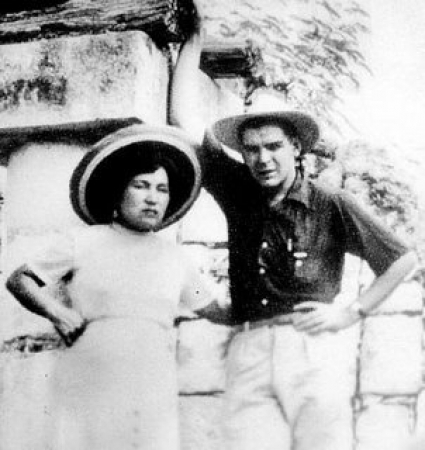 He took those ambitions to Mexico, where he met the Castro brothers, and they hit it off because both parties hated the US and blamed capitalist imperialism for most of the world’s suffering. He went back to Cuba with the Castros and helped overthrow the government, and he was a key member of Fidel Castro’s new regime, both as a brutal executioner of political enemies and as the Finance Minister, shifting Cuban trade relations away from the US and toward the Soviet Union. He was an energetic dude and spent a lot of time in foreign countries trying to incite revolution, until he botched it and was captured by the CIA-assisted Bolivian military and executed at the age of 39. He’s a polarizing figure today, both loved by some as an inspirational symbol of counterculture and loathed by others as an insufferable symbol of counterculture. People aren’t quite clear that in addition to being a valiant revolutionary, he was a ruthless murderer, executing hundreds of people without trial in Cuba. He was notoriously smelly, proudly changing his shirt once a week. His honeymoon apparently sucked.Somehow, my progress when I typed everything up to this point hadn’t been saving and when I accidentally left the page, I lost everything I wrote about Alexander, Polo, and Che. This bullet marks the moment when I’m back to where I was hours ago. It’ll be at least a month before I’m able speak about this. Her main thing: Mother Teresa decided to obnoxiously spend her life making the rest of us look bad by dedicating everything she had to “serving the poorest of the poor.” She is ethnically Albanian, grew up in the Ottoman Empire (in present-day Macedonia), and moved to India at the age of 18 to be a nun. And for the next 17 years, that’s what she was—a nun and a teacher, and she seemed content with this until Jesus, she says, told her to stop being a dud and do something to help all of the ridiculously poor people around her. So she changed her path and founded the Missionaries of Charity, which, among other things, ran hospices for poor, sick people so those “who lived like animals could die like angels.” She proved to be quite the entrepreneur, leveraging her growing celebrity and taking her work abroad, eventually scaling her charity to 133 countries with the help of 4,500 involved sisters. She won the Nobel Peace Prize in 1979, and tends to be a symbol of all things good today. Though she lived her life on humble means, she was actually born into a wealthy family. She was highly chaste. What a waste of a bullet point. Some controversy swirls around her legacy, despite her overall shining reputation, centered around her vocal campaigns against contraception (some even believe she exaggerated how bad it was in India to get more attention) and her refusal to adopt Western medical standards in favor of poorer facilities because she believed that “suffering” brings people closer to Christ. His main thing: He came up from modest means and actually got a pretty late start. When he visited Spain at the age of 32, he saw a statue of Alexander the Great and it put him in a bad mood because he felt that he had accomplished very little (typical GYPSY). And he was just getting started as a priest before a war of rivals in his hometown ended the wrong way and forced him out of that title—so he turned toward the military instead. He rose steadily, both in military rank and political influence, until he eventually overpowered the weak senate, overthrew the Roman Republic, and was declared dictator. He was a good leader, beloved by most of the people and made sweeping changes to the constitution, laws, and government structure that laid the groundwork for the Roman Empire, which would flourish for almost 500 years after his assassination. Caesar was a cool dude. When he was captured by pirates and held prisoner once earlier in his life, they demanded twenty talents of silver for him as ransom. He interrupted and insisted they ask for fifty instead, which they then received. After they freed him, he got his fleet together, chased the pirates down, took back the money, and crucified them—something he told them he was going to do when he was in their captivity and they had laughed at him. Caesar had a full relationship with Cleopatra, which took place both in Egypt and in Caesar’s villa near Rome, which she would visit. This is like Aristotle tutoring Alexander the Great, where I’m just flabbergasted that two people who are that legendary hung out and slept together and cuddled. It’s just weird.The closest modern example of this phenomenon is JFK and Marilyn Monroe More on this in the Cleopatra section on the next page. He was assassinated by a bunch of the old guard he had overthrown, but they were unable to take power themselves because the masses had loved Caesar and they didn’t have support. Instead, Caesar’s adopted heir Octavian (Caesar’s great nephew since he had no sons) took power as the first Roman Emperor (under the name Augustus). Things can get confusing between Shakespeare’s play and the real story, and some people I spoke with even asked if Caesar was real or fictional. The answer is that he was certainly real and the Shakespeare plot isn’t too far off from reality. Mark Antony was really his second in command, Caesar really was stabbed a ton of times (23) by a lot of different men (~60), and Brutus was really someone Caesar trusted and one of the people who stabbed him. However, “Et tu, Brute?” is fiction. One lasting change Caesar made was to the calendar. At the time, they used the moon, which made the months and years irregular. He replaced that with a calendar based on the sun, setting the year at 365.25 days (adding the leap year to capture the .25s), and added three months onto 46 BC to align things with the seasons, starting 45 BC on January 1. We’re still living with these changes today.